Staff where very friendly and super helpful. We loved Hart! The room was huge and had a beautiful view. We were two steps from the beautiful beach. The breakfast is good, buffet style but lots of options. Pool is nice and clean. Everything was perfect! 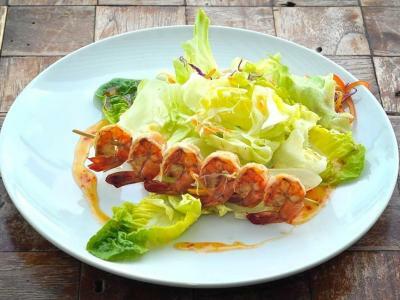 Super nice and friendly staff, delicious food, great service! The view from the room was awesome! On arrival we were given an upgraded room, bottle of wine and in room massages for free! 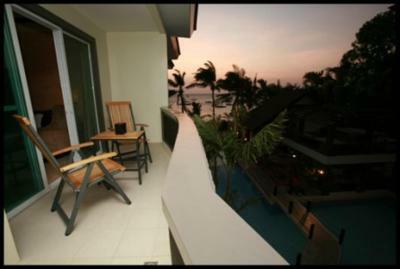 We ended up in the best room with the private deck/spa/sunbeds overlooking the pool/beachfront - view was AMAZING. A really lovely surprise and we really appreciated it. Bar staff (Benji in particular), were great! Good selection of wines/sparking wines. Breakfast was ok - eggs station and bread was good. Pool area really nice with good pool side service. Had some decent food in the hotel restaurant to even though we prefer to eat outside the hotel it wasn't too bad for the days you want to drink by the pool and not leave. Its a beautiful hotel and we loved being in station 3, SO much nicer than station 2. Highly recommend. If you're a fuss pot use to 5 star hotels then obviously this isn't for you, some people have ridiculous expectations. 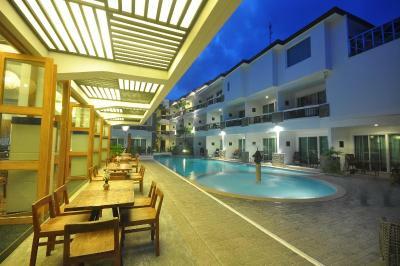 The pool, the room and the location of the hotel that is just right on the beach side. 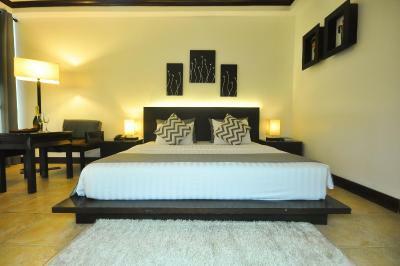 The bed linen was good, swimming pool is big, air cond good functioning.. 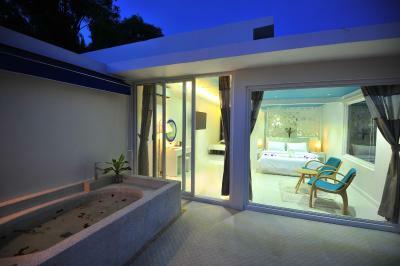 The location was amazing and the room had a private access to the pool and ocean views. 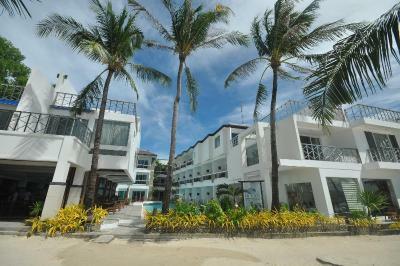 Staff were very friendly and it was located in a quieter part of the beach - not too noisy at night. 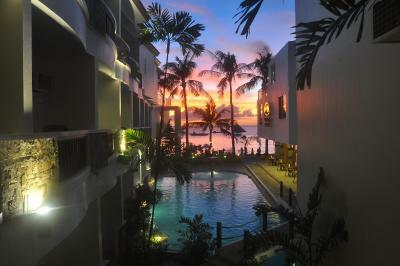 Staff are extremely nice and helpful, location is great, pool and beach facilities as well. It was very clean and we had great pool access in the suite. Pool is great, though I think we were the only ones to use it. Breakfast was pretty good, one of the better ones we had on our 2 week trip. 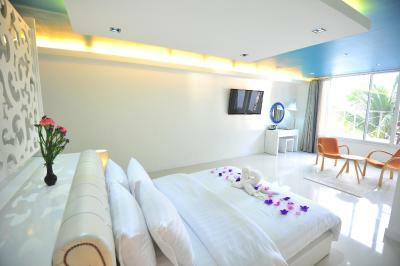 The hotel is located on White Beach and looks really nice. 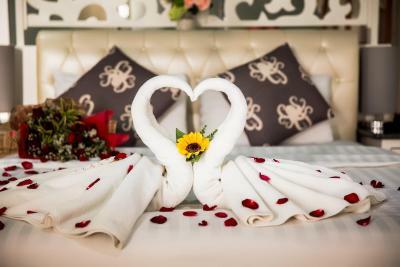 Don't book any of the superior rooms or any room that is located in the back of the hotel. There were ongoing works and it meant a lot of noise and dust. In addition, we couldn't open the window as it would have been directly in the view of the workers. Since it had no sunlight whatsoever, it was musty and smelled damp whatever we would do. We asked for another room but since it was fully booked, we were stuck there. 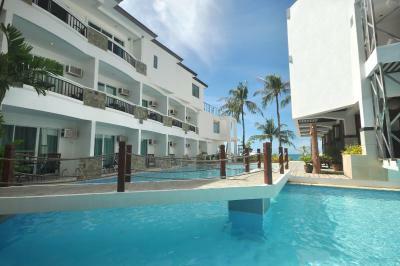 Boracay Ocean Club Beach Resort This rating is a reflection of how the property compares to the industry standard when it comes to price, facilities and services available. It's based on a self-evaluation by the property. Use this rating to help choose your stay! 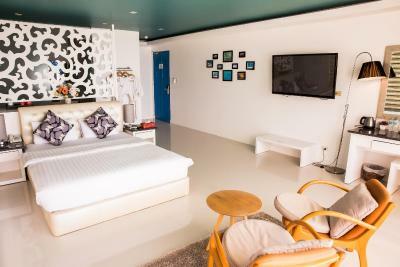 One of our top picks in Boracay.Featuring scuba diving, a swimming pool and a spa, Boracay Ocean Club Beach Resort is right on Boracay Island’s white-sand beaches. 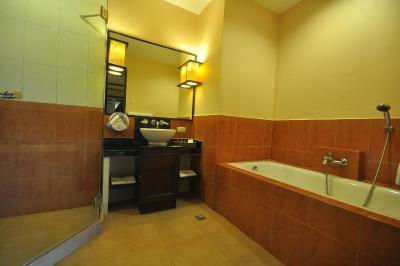 The comfortable rooms include a private bathroom. 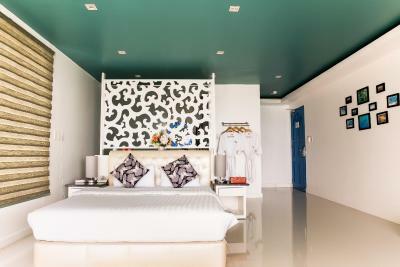 Rooms at Boracay Beach Resort feature a cool tropical style with splashes of lively color. 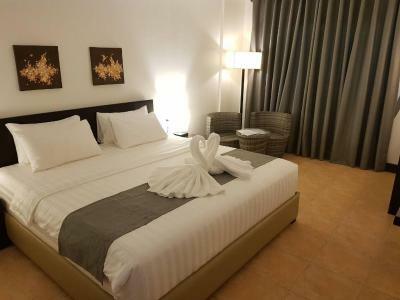 Guests can relax in air-conditioned comfort, enjoying cable channels on the flat-screen TV with a drink from the minibar. 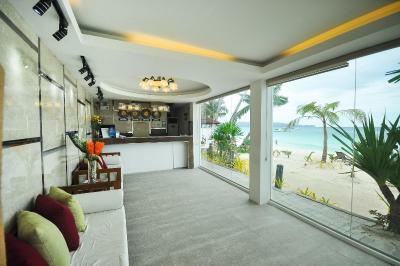 Kayaking, pedal boats and yacht rental are available at Boracay Ocean Club, or guests can unwind with a massage. A tour desk with ticket services helps with sightseeing, and guests can work at the business center. 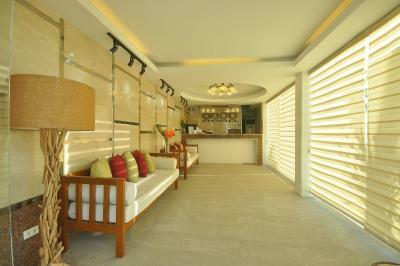 Free Wi-Fi is provided in the resort's common areas. 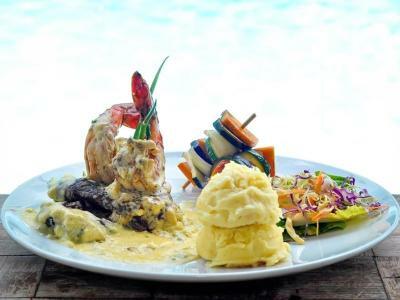 Ocean Sunset Bar serves up a delicious combination of local and international cuisines. Room service, including in-room breakfast, is available. 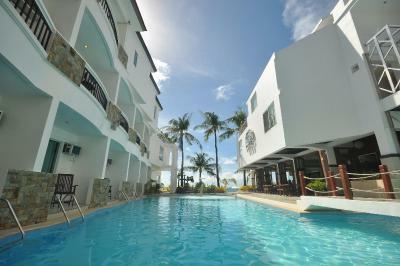 Boracay Ocean Club Beach Resort is a 30-minute drive from Caticlan Airport. 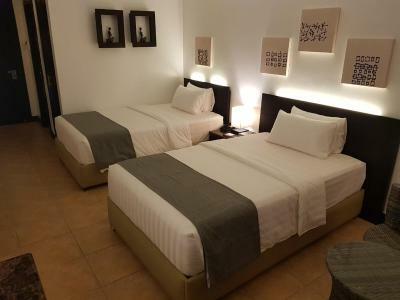 Kalibo Airport is a 2-hour drive away. 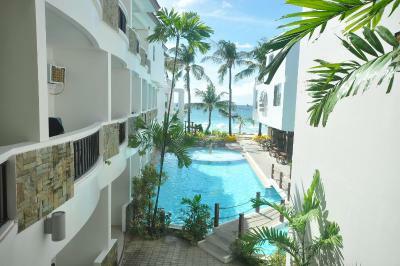 뀐 Located in the top-rated area in Boracay, this property has an excellent location score of 8.2! 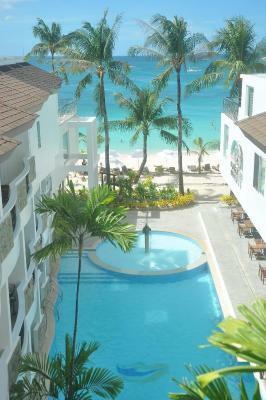 When would you like to stay at Boracay Ocean Club Beach Resort? 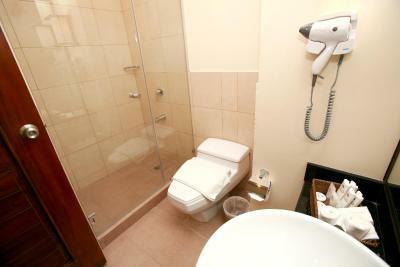 This room features a flat-screen cable TV, a safety deposit box, and an private bathroom. Please note that room has no view. 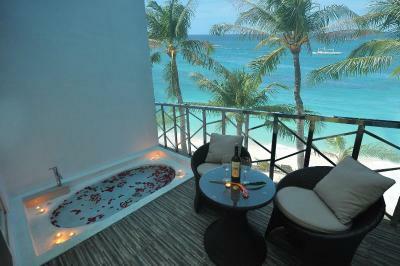 This room includes a balcony that offers partial view of Boracay's beach. 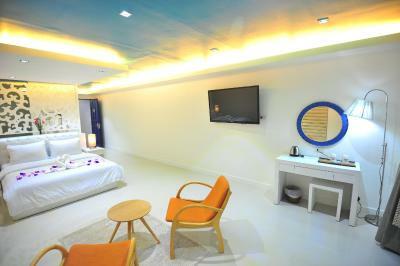 It has a seating area, flat-screen cable TV and an private bathroom. This room has a balcony that opens up directly to the pool area. It includes a seating area, flat-screen cable TV and an private bathroom. 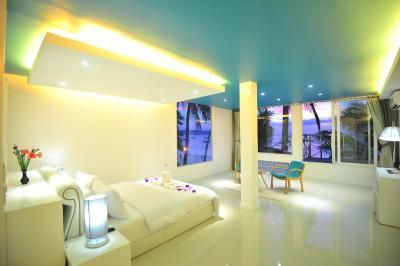 Featuring a modern Asian decor, this air-conditioned room has a balcony that opens up to sea views. It includes a seating area, flat-screen cable TV and an private bathroom. Features a modern Asian decor. It has a private porch and offers panoramic ocean views. Some rooms have partial views of the swimming pool. Features a modern Asian decor. 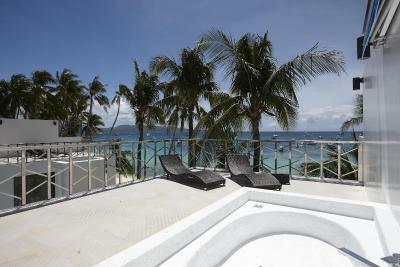 It has a private porch and offers panoramic ocean and pool views. 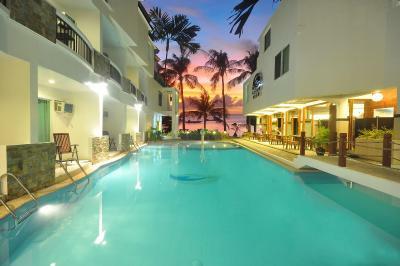 House Rules Boracay Ocean Club Beach Resort takes special requests – add in the next step! Boracay Ocean Club Beach Resort accepts these cards and reserves the right to temporarily hold an amount prior to arrival. There is no smoking area in the resort. I didn't get the room that i was expecting but the day after my check in the lovely girl at the reception moved us to the right room! Everyone was very friendly and attentive! The building is right in front of the beach. Staff and overall stay was excellent. Everyone treated us awesome even gifting us a nice dessert for our anniversary. We had a lot of ants in our room and one night a small lizard! We loved the idea of having a little bath on our balcony but it wasn’t very private as so close to the beach and pool area. Entertainment was the same every night. Cocktails were terrible!! Food not great. Relaxed ambiance of the hotel. Staff were very courteous and helpful. We loved this place. 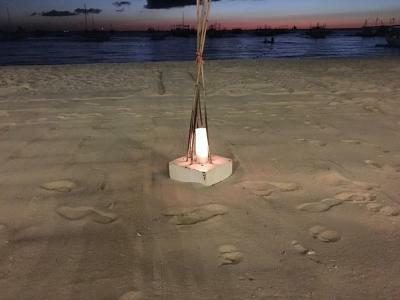 Right on the beach, staff were lovely and helpful - everything was well organised. Will be back soon! The breakfast was not up to standard in terms of variety and cleanliness. We asked for one king size bed and got two separate beds instead. The manager was too busy to solve our problem. The breakfast needs an upgrade. Not much variety. The staff are great and amazing. They would do anything to help.